“Blazingly fast” is how Eric Herzog, Vice President, Product Marketing and Management, IBM Storage Systems, describes the new IBM FlashSystem 9100. And the data points are backing him up. Driven by IBM’s FlashCore Technology, and a 100% NVMe (Non-Volatile Memory Express) end-to-end, the FlashSystem 9100 is providing 100 millisecond latency with up to 10M IOPS in an 8U cluster. This gives customers amazing speed for transactional workloads, and with huge bandwidth of 136GB per second , those performance-intensive AI and Machine Learning applications deliver data to the business users faster than ever. As Impressive and industry-leading as this is, the business value that customers receive is where the FlashSystem 9100 truly shines through programs such as IBM FlashWatch, encompassing Data Reduction, Controller Upgrade Protection, High Availability, and Advanced Support. CFO’s will appreciate the savings that can be achieved through the financial impact of data reduction. Through a comprehensive range of capabilities, primary among which is the innovative new Data Reduction Pools (DRP), IBM is able to offer guaranteed capacity savings of up to 5:1. DRP’s incorporate deduplication and hardware-accelerated compression technology, along with SCSI UNMAP support, thin provisioning, and data efficiency features. The pools enable the automatic de-allocation and reclamation of thin- provisioned volumes containing deleted data and, for the first time, enable this reclaimed capacity to be reused by other volumes. 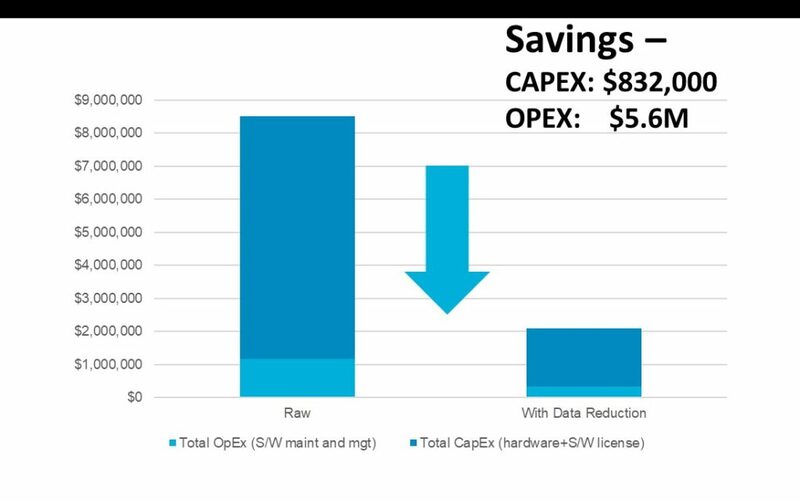 Delivered by IBM Spectrum Virtualize, IBM says that these benefits can be extended to over 440 heterogeneous storage arrays from multiple vendors, extending that savings across the entire storage environment. As part of the FlashSystem 9100 maintenance program, IBM is offering its customers the ability to upgrade the controllers in the arrays to equivalent technology. At the end of the three-year hardware and software maintenance, customers who wish to continue that service, will have the opportunity to execute the upgrade option, protecting the core business investment. What CIO isn’t worried about system downtime? IBM has addressed this concern by offering an all-flash array High-Availability Guarantee. 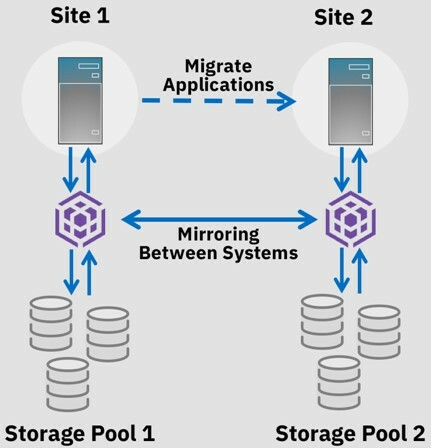 When deploying a high-availability configuration through IBM’s HyperSwap, and when implemented by IBM Lab Services, clients can receive a zero storage system downtime protection through the program. Naturally, there are program guidelines that must be adhered to, but our experience is that these guidelines help to better align HA best practices with corporate uptime goals. As with much technology, the cost of managing storage infrastructure exceeds the cost of purchasing the storage capacity. With some studies indicating utilization rates of around 50%, IT organizations need advanced support capabilities that help to manage that capacity, and this is being delivered by IBM Storage Insights. IBM Storage Insights utilizes predictive analytics built on a history of IBM storage management expertise. Through implementation of the data collector (a process that normally takes about 30 minutes), storage usage metrics and sent securely to the IBM Cloud, which then provides storage analysis to the client. In a single pain of glass, clients identify and categorize storage assets, monitor capacity and performance, increase precision of capacity forecasting, and optimize data placement based on historical values. Additionally, this provides IBM support staff the ability to make proactive recommendations and deliver to the client faster resolution of issues. Other programs, such as Flash Endurance, provides a flash wear guarantee, and Data Migration provides capabilities to migrate data from over 400 different storage systems from IBM and other vendors. These give clients the peace of mind that not only are they purchasing an extremely fast and reliable all-flash array but are receiving true business benefits that drive down the cost of managing storage and delivering data to the enterprise.